After an amazing weekend in Madrid, we got up bright and early (literally the crack of dawn) so that my uncle could take us to the train station before he went to work. From there, we would go to Córdoba! Córdoba is the capital of the province of Córdoba, a city that has been ruled by the Romans during Ancient times, by the Muslims, and finally by the Christian monarchs after the Reconquista in 1236 (fun fact: the Spanish Reconquista is considered to be a period of about 700 years until 1492, when the Catholic Monarchs conquered Granada). This is very evident in its architecture. It is a relatively small city and possibly my favorite out of our entire trip. It’s very picturesque and also quiet, as I guess it’s not as popular with tourists as Seville. 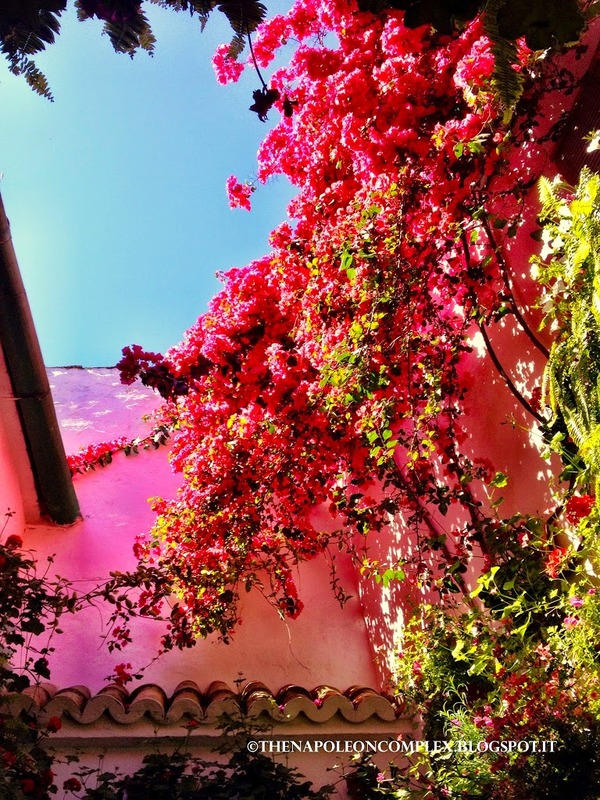 As my uncle told us when we first arrived, we probably chose the best week to be in Spain and visit Córdoba and Seville because of the festivals taking place in each city. 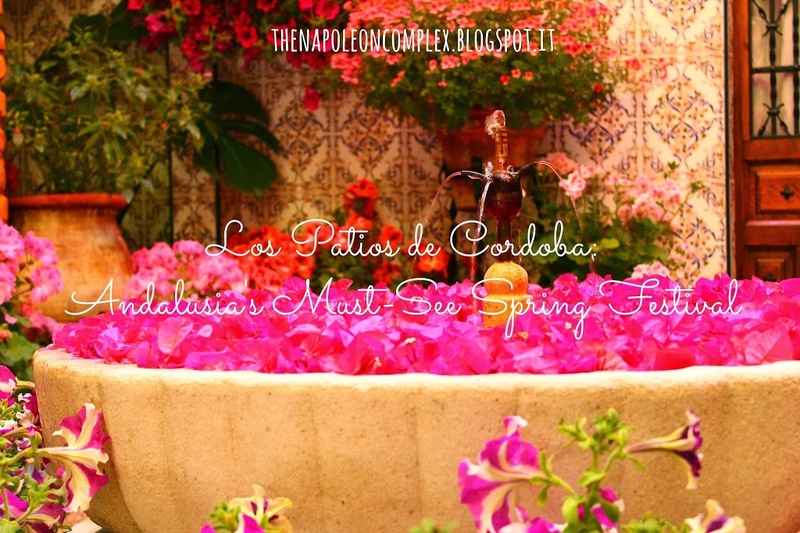 When we arrived in Córdoba, La Fiesta de los Patios de Cordoba was taking place, The Festival of the Gardens of Córdoba in English. 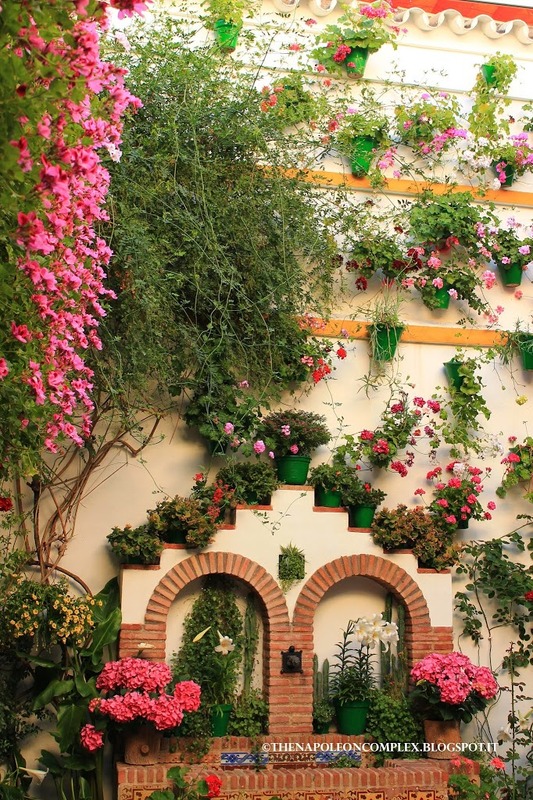 Basically, during this festival, people in the historic center of Córdoba decorate their own private gardens and open them to the public free of charge (except for whatever you wish to donate). 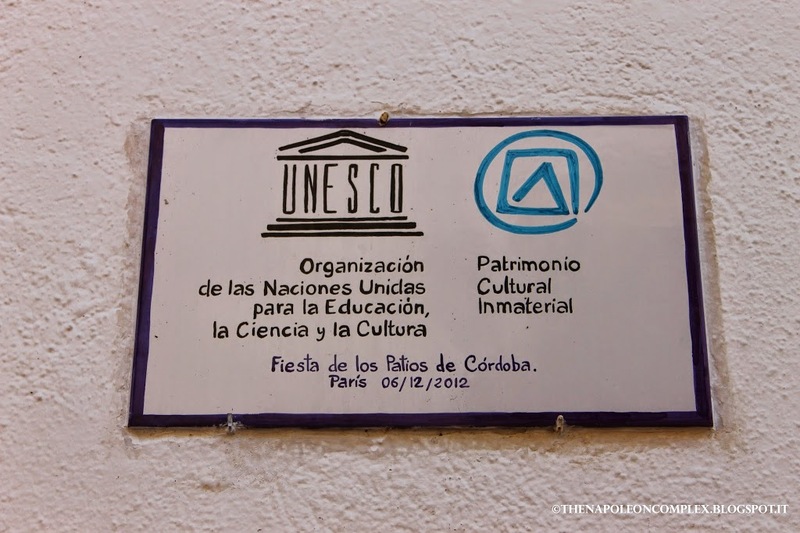 Did I mention that the Fiesta is part of UNESCO’s Intangible Cultural Heritage list? 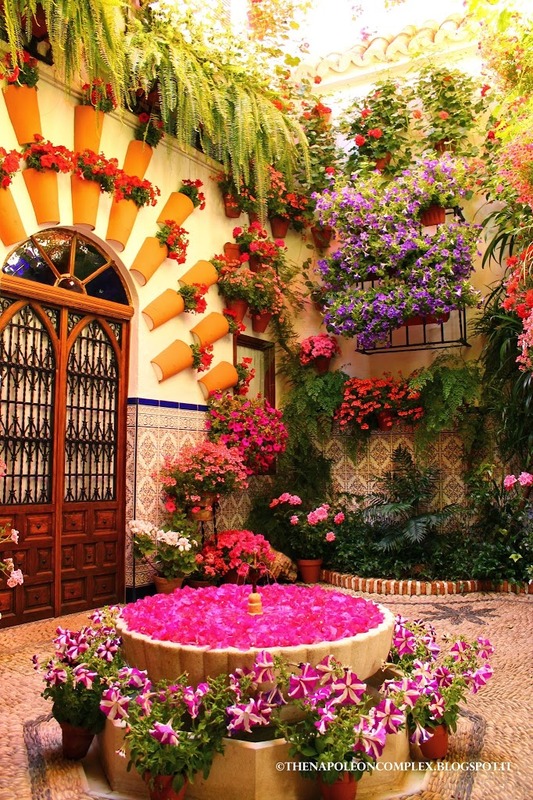 When I say they decorate, I mean decorate, as in landscaping on steroids, as it was some of the most beautiful gardens I had ever seen in my life. 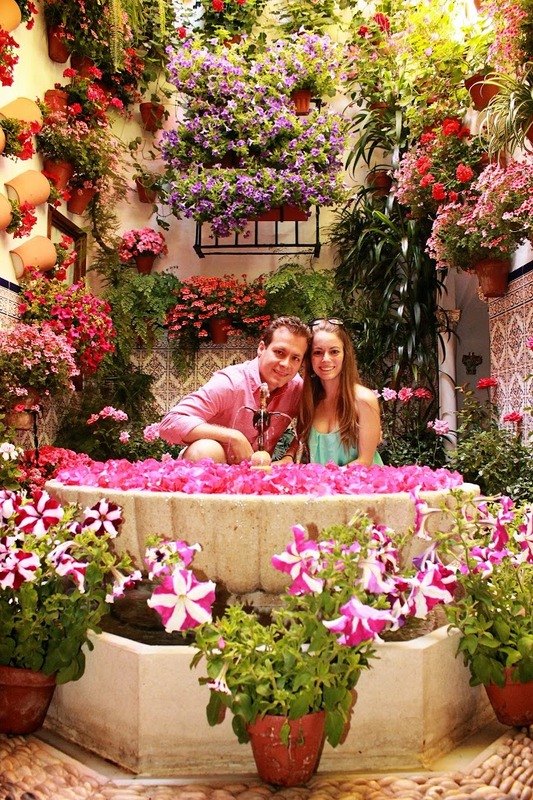 Because of the moorish influence in architecture in the historic center, their gardens are are more like courtyards. The family home is usually built around this courtyard, so that it ends up being like an enclosed rectangle (or circle, or whatever), and then the courtyard is filled with plants and maybe a fountain. Curiously enough, it is so nice and cool in these courtyards, considering how HOT it is in the streets. This one had a cute little well. Jaime and I loved this architectural style so much that if we were ever to build our own home from scratch we would definitely need to find a way to incorporate it. 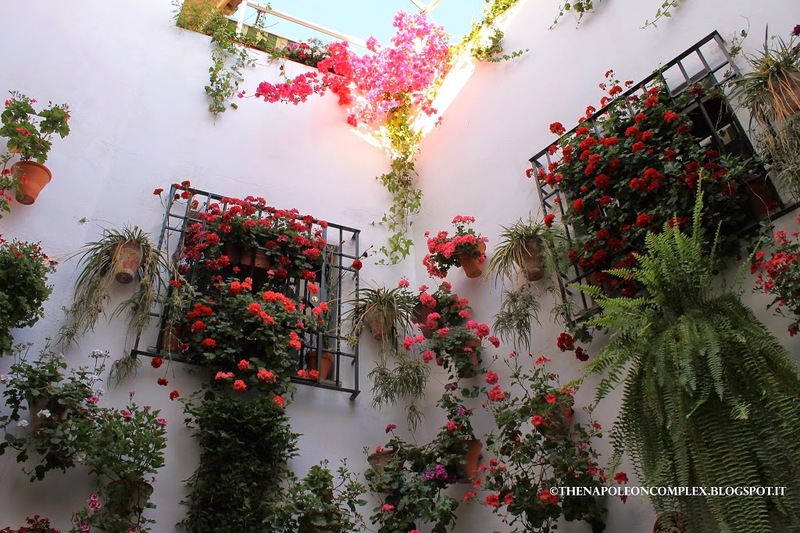 Throughout our two days in Córdoba, we visited probably about 20 different Patios, with the help of a little map they give you with different routes highlighted. We started on Monday afternoon after we went to the Cathedral and were thoroughly impressed. 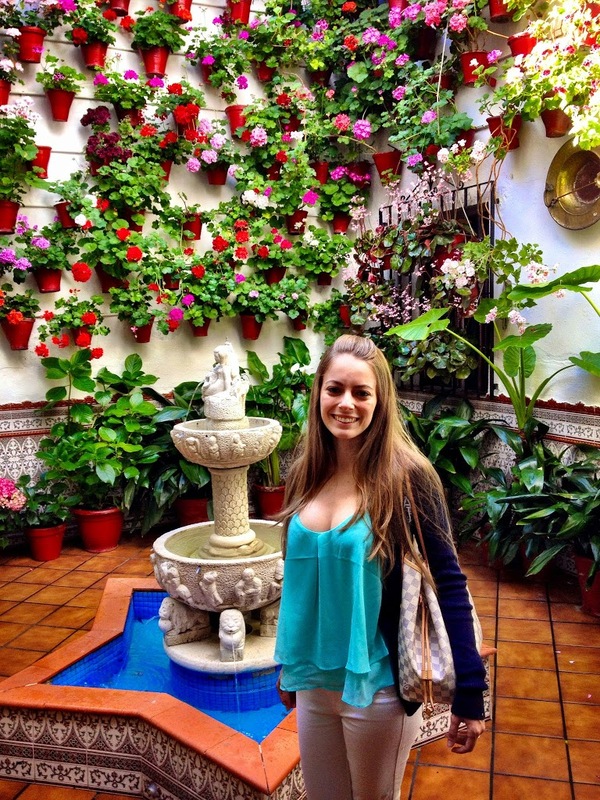 On Tuesday, we took a different route and the courtyards were markedly more elaborate. Ladies and gentlemen, I present to you the most beautiful courtyard I have EVER seen! Did I mention how the people participating in this don’t do it just for fun, they also compete for prizes (involving money) every year. 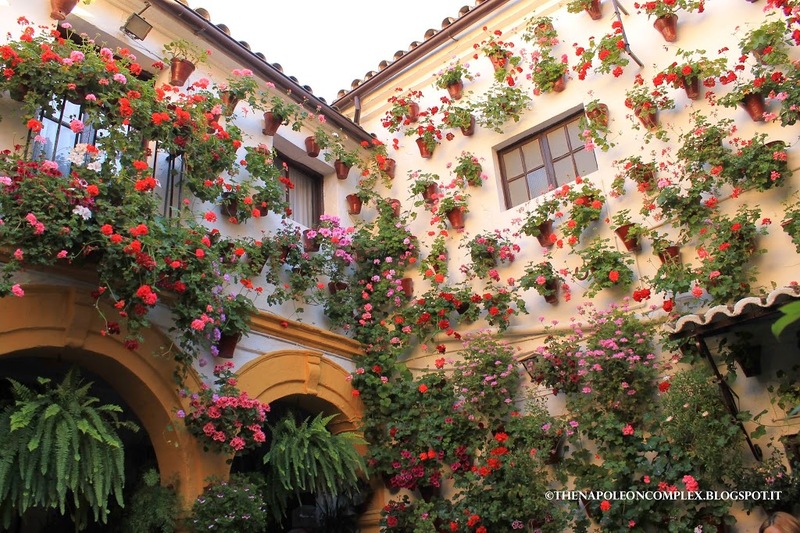 This particular courtyard above is featured on the cover of the book they will release with pictures of all the different Patios (about 70 or 80 in all, I think). I don’t know if this courtyard won, but it definitely should’ve. When we saw this, Jaime went camera trigger happy. 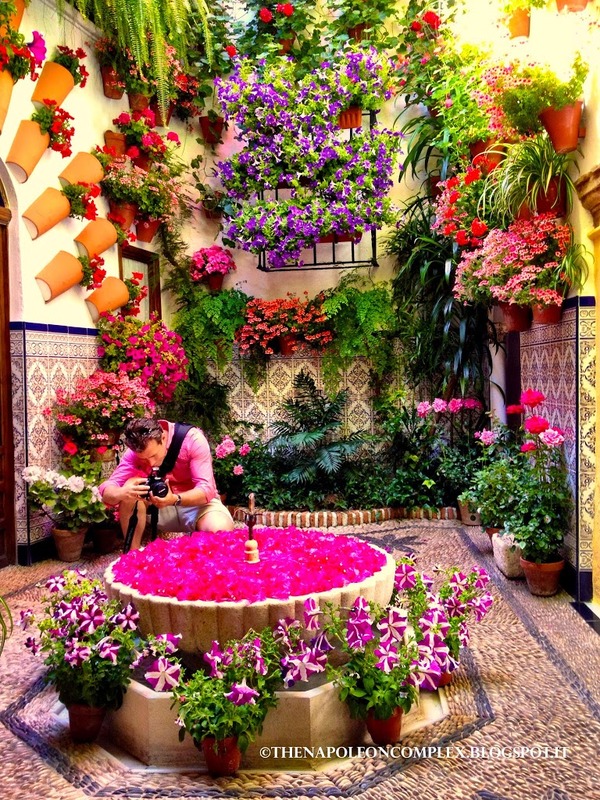 The owner was so proud of his patio that he would give Jaime ideas about the best angles to take the pictures. So we gladly obliged. Absolutely NO FILTER, PHOTOSHOP, nothing! Then you look up and see more color! 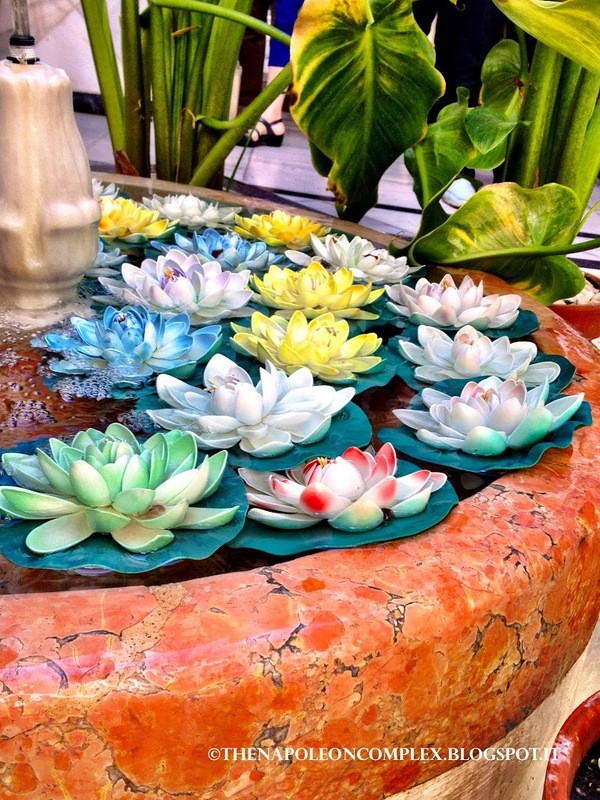 If I could replicate this in my own backyard, I would. It was so beautiful, I could only imagine what it would be like to wake up everyday and enjoy this view. I could also only imagine the work it takes to maintain this and keep it beautiful so I give props to the owner. All in all, this was a festival the likes of which I had never experienced before anywhere else (that I’ve been to at least). 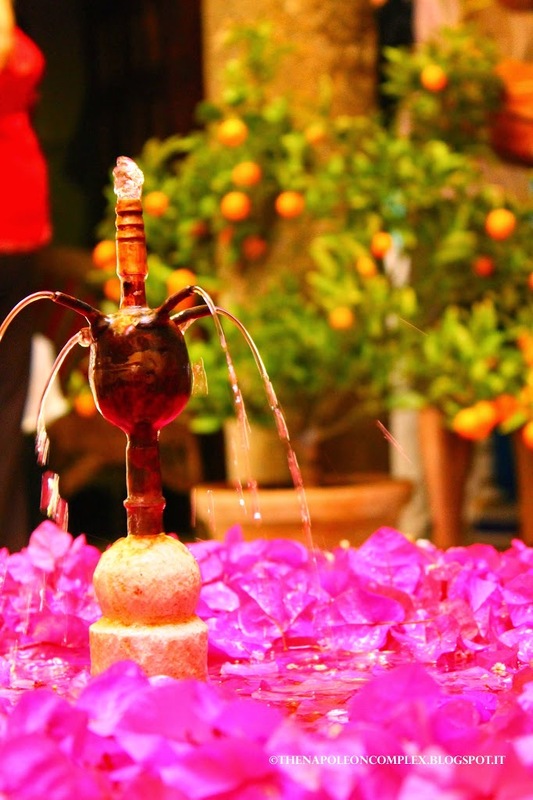 For anyone that wants to visit Córdoba, if you can plan your visit around this festival, I would HIGHLY recommend doing so because it is definitely a unique, once-in-a-lifetime experience. For more pictures of Los Patios, check out My Napoleon Complex’s Facebook page! Hi! Thanks for your comment and reading! Yes, Rome is overwhelming with the crowds and the tons of things to see. We’ve been lucky that we have been able to do things at a slower pace. Sorry for such a late response and I’ll check out your blog! Hi Beatriz! 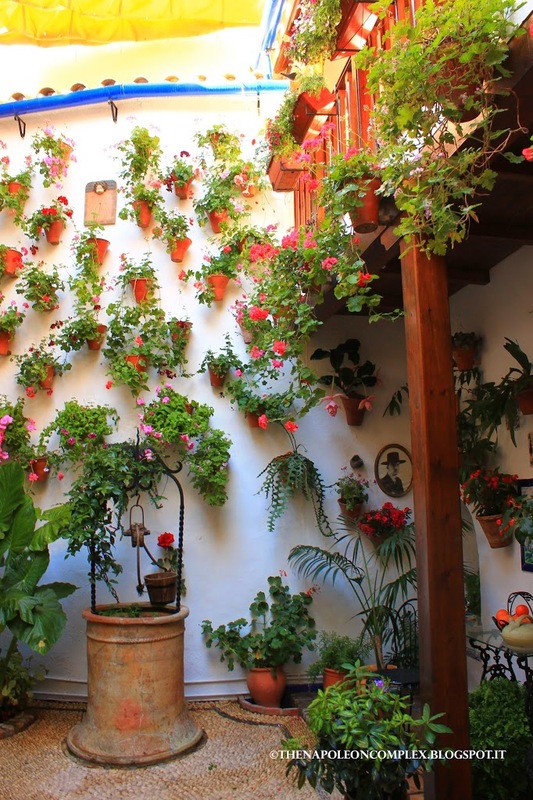 Planning our visit to Andalucia for next May. We’ll probably make it to Cordoba 3-4 days after the festival. 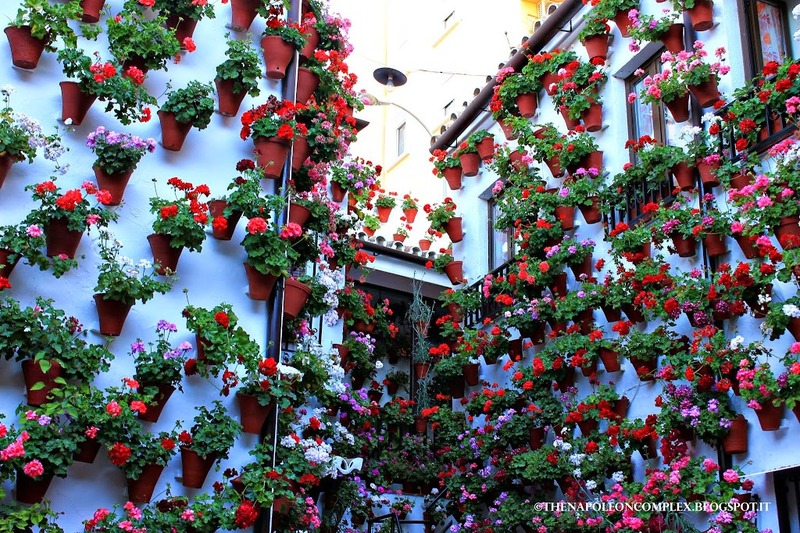 The city of Cordoba says the patios are nicely decorated year round even outside the big patio festival. Did you hear the same thing from the locals? I didn’t hit reply the first time around, so it posted a whole new comment instead. Hope you’re able to get it this way! Hi, Gerard, thanks for reading! I’m sure they are decorated year round, so if you’re going in May you shouldn’t have a problem. What I don’t know is if they’re open to the public year round. Will you be going before or after the festival? wow! that one patio is really something. do you remember which patio it is or which neighborhood? i’m planning a trip for the festival this year but won’t have much time in town. hoping to see the best patios if possible!